The purpose of this course is to prepare students for the naturalization interview and test. It is designed for a 12-week class that meets once a week for 2 hours. This course was originally designed in 2011 for ESOL students at the NRS high beginner level or above, but has since been adapted for low beginners. Each lesson plan now includes suggestions for beginners. For example, originally we handed out approximately 10 of the 100 civics questions each week and worked on the answers together in class; students would then copy the answers from the board onto their paper, to create their own flashcards or strips for self-study. However, this was too time-consuming and difficult with beginners, so we gave them a handout with the questions and answers already printed on it. More recently, we have begun using the text Citizenship: Passing the Test: Civics and Literacy, by Lynne Weintraub, New Readers Press. Since our sequence of the 100 questions matches the text (rather than going in the sequential order according to USCIS), we were able to use the text instead of the questions handout each week. Whether you use the text or have students create their own flashcards may depend on funding for textbooks and the level of your students. speaking/listening: students will be able to respond to questions about their application, to respond to simple commands, and to engage in "small talk"
Each class includes instruction in these four areas. Study suggestions and interviewing tips are also presented and practiced. Students are expected to do homework and review material independently. For the civics portion, students are given a set of questions each week, answers are learned in class. These may be done with teacher-created materials or with a textbook. To prepare for the dictation portion of the test, homework is given each week to practice sentences incorporating the writing vocabulary. To help students measure their readiness, dictation quizzes are given. Each class also includes reading practice of sentences incorporating the reading vocabulary. Finally, we also go through the information, questions, and vocabulary on the N-400 application for naturalization and discuss and practice the types of questions the students might be asked during the interview. There is a lot of difficult vocabulary on the application (especially in part 11). This is oral practice, and includes having students practice asking for repetition, clarification, examples, and explanation of unfamiliar terms. Note: Beware of unauthorized practice of law: it is not our role as teachers to assist students in completing the N-400 application or to give advice on how to complete it. A short assessment is given at the first class with the same assessment given the last class to measure students' progress. In addition, in the first class students discuss why they want to become citizens (motivating factors); they brainstorm what they already know about the process and raise any questions. We invite the Immigration Specialist from our local refugee resettlement office to come and share her role in the application process. The Charlottesville International Rescue Committee's Immigration Services are available to all legal permanent residents and are low-cost and accredited by the Board of Immigration Appeals of the Department of Justice. We recommend letting your students know of any low-cost and accredited legal representation services in your area (often available through refugee resettlement agencies). We also invite at least one new citizen to class to share their experiences preparing for and taking the test. Elicit student reactions and/or questions. What did you hear that was new? (It is also possible to stop and start and different points to discuss each section). be able to respond to simple commands and to engage in "small talk"
First 6 weeks will address geography and history; second half will address government. The last class will be review. Hand out first set of civics questions (1-11) and go over the answers; use visuals below as reinforcement. Either write answers on board and students copy on back to create their own flashcards or give them questions/answers together. If you are using the textbook Civics and Literacy (either in class or for homework practice), spend some time explaining how to use the book (page 4). This first set of questions corresponds to chapter 1. Start practicing for the interview with small talk (weather, travel to class, etc.) and instructions (Total Physical Response is a good teaching technique here). Hand out sample reading and writing sentences from Civics and Literacy, pp. 176-177. Practice reading sentences 1-5 in class. Adaptation for beginners: create flashcards on card stock of the reading and writing vocabulary (from USCIS vocabulary lists) and have students practice with just a few words at a time. For writing practice, students can copy individual words (and you then dictate individual words) before moving on to sentences. 1. Why does the flag have 50 stars? 2. What is the name of the national anthem? Watch and Listen to "The Star Spangled Banner"
3. 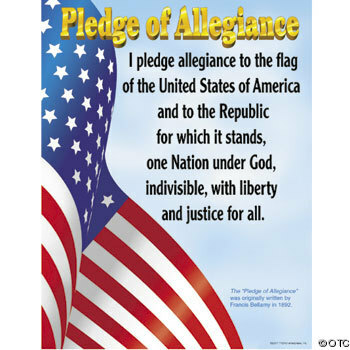 What do we show loyalty to when we say the Pledge of Allegiance? 4. What is the capital of the United States? 5. What is the capital of your state? 6. What is the name of the president of the U.S. now? 7. Who is the governor of your state? 8. What are two ways that Americans can participate in their democracy? 9. What are the two major political parties in the United States? 10. What is the political party of the President now? 2. Start practicing the interview. Point out that the speaking/listening test begins as soon as the interviewer calls your name in the waiting room. a) Model a dialogue - some responses to these questions/statements will be verbal and some non-verbal. Please remain standing and raise your right hand. What did you just promise? OK, you can sit down now. Please show me your green card. Have students practice this in pairs. Then ask two students to demonstrate for the class. It's really hot/cold/wet today, isn't it? Did anyone come with you today? 5. Hand out civics questions 12-20 (geography); go through together so students can write the answers (if they are creating their own flashcards) or, if you have given them a sheet with the answers, go over by reading aloud. Use visual links below and/or a map to help reinforce the information. These questions correspond to chapter 2 in Civics and Literacy. 12. Name one state that borders Mexico. 13. Name one state that borders Canada. 14. Where is the Statue of Liberty? 15. Name one of the two longest rivers in the United States. 16. What ocean is on the East Coast of the United States? 17. 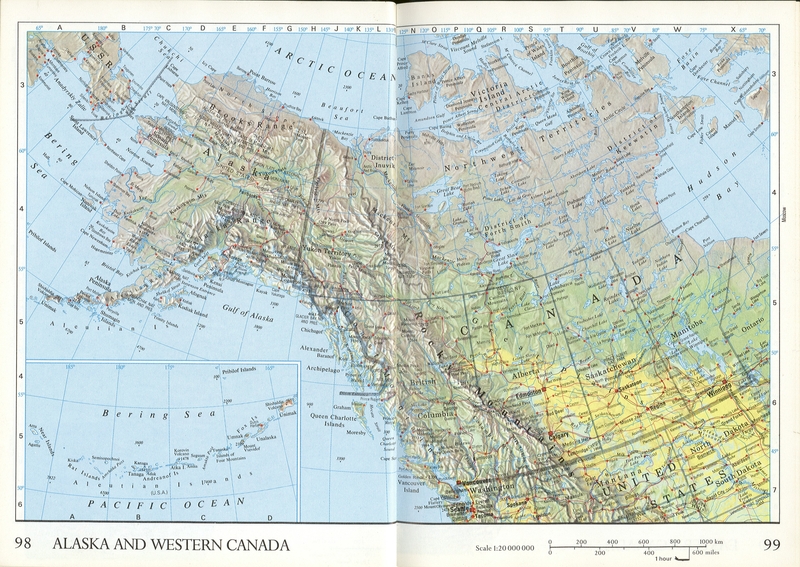 What ocean is on the West Coast of the United States? 18. Name one U.S. territory. 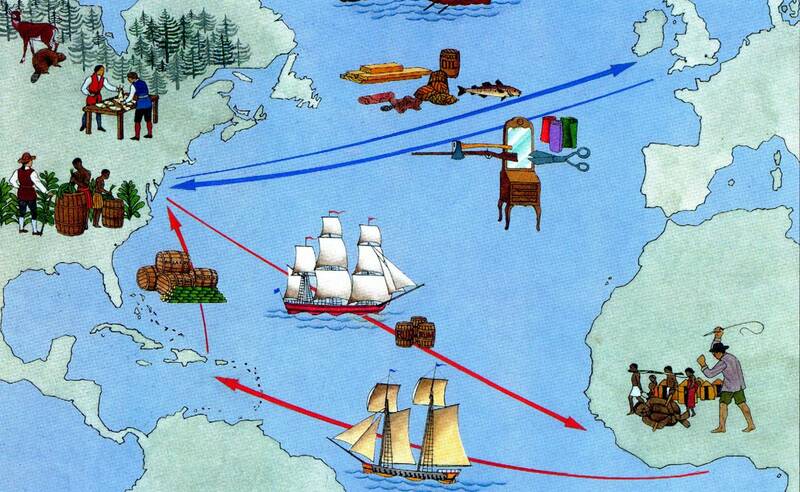 20. Who lived in America before the Europeans arrived (map)? 1. Review civics questions 1-20. 2. Go over geography: look at a map. Hand out post-its to students - each with the name of a place or symbol (e.g. Statue of Liberty); students place these appropriately on the map. 3. Dictation of words or sentences 1-10; if needed, reading practice. a) Watch YouTube video of students practicing for the interview. b) Oral practice (Practice for Oral Interview): ask students questions related to parts 1-4 on the application. See sample interview questions. Point out that there are many ways to ask for the same information and we practice these. Encourage students to ask you to repeat, speak more slowly, or explain a word. Note: rather than quickly jumping in to rephrase a question when the student looks at you blankly, wait, and then have them practice "can you repeat, please" or "can you say that another way?" or "can you speak more slowly, please". Watch this video A Promise of Freedom, up to minute 5. Stop as needed to review or check comprehension. Then go over questions 20-30. Use visuals below to help reinforce concepts. This material is also covered in Civics and Literacy, chapter 3 and first half of chapter 4. 21. Why does the flag have 13 stripes? 24. What group of people was taken to America and sold as slaves? 25. Why did the Colonists fight the British? 26. What did the Declaration of Independence do? 27. What are 2 rights in the Declaration of Independence? 29. When do we celebrate Independence Day? 30. There were 13 original states. Name 3. #2: It's okay if you can't remember something. You have to correctly answer 6 questions but you get 10 chances. If you remember part of the answer, say what you know. You can also say "I don't remember". Emphasize for students that with the reading and writing as well, they should say or write as much as they can, even if they can't do it all. #3: It's okay to ask the officer to repeat a question. Practice ways of doing this. 3. N-400 practice (Practice for Oral Interview): ask students questions from parts 1-5 of the application. 4. Practice dictation and reading of words or sentences from previous classes. 5. Civics questions 31-39 (corresponds to Civics and Literacy, second half of chapter 4): continue with A Promise of Freedom video, starting at minute 4.30. Stop and check comprehension as needed. Then go over the questions/answers. 31. What does the constitution do? 32. When was the constitution written? 33. What happened at the Constitutional Convention? 34. Who is the father of our country? George Washington's image on the one dollar bill. 35. Who was the first president? 36. What is one thing Benjamin Franklin is famous for? 37. Who wrote the Declaration of Independence? 38. 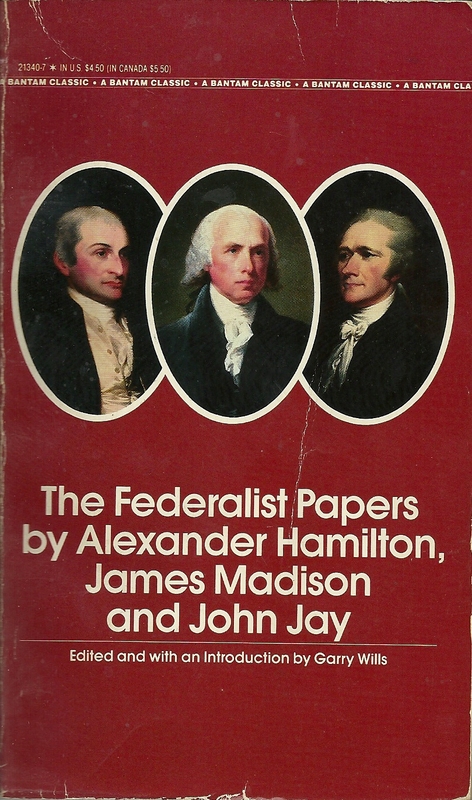 The Federalist Papers supported the passage of the U.S. Constitution. Name one of the writers. 39. 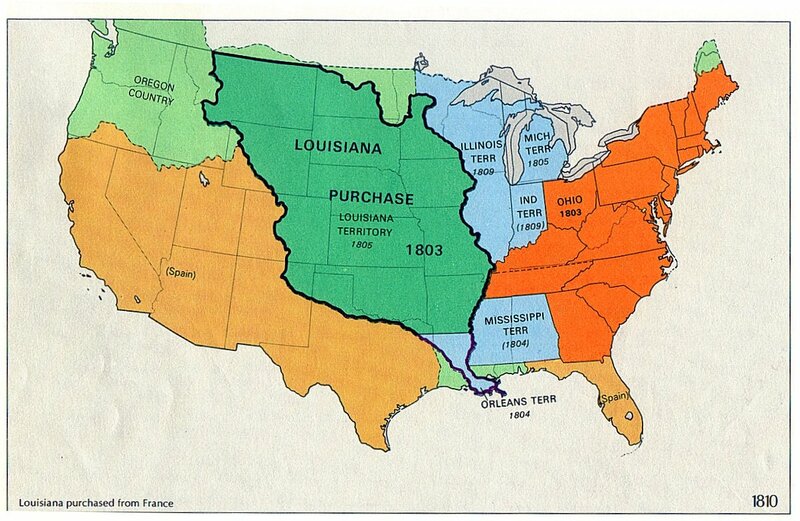 What territory did the United States buy from France in 1803? Randomly test students on civics questions 1-39. Hand out question and answer cards; students match. 2. Dictation practice: choose some sentences from 1-20 (or words). Correct on the board, keeping in mind USCIS's scoring guidelines. 3. N-400 oral practice (Practice for Oral Interview), for parts 5, 7, and 8. Ask students questions for practice. 5. Introduce next set of civics questions (40-45): see links below for videos and images. 6. Offer test tip #4 from Civics and Literacy: getting time to think. Sometimes we need time to think, but if we are slow to answer, the examiner might think you don't know or don't understand. Some ways to let the immigration official know you are thinking include saying: "let me think...", or "let's see....", or "umm". 40. Name one war fought by the United States in the 1800s. 41. Name the U.S. war between the North and the South. 42. Name one problem that led to the Civil War. 43. What was one important thing that Abraham Lincoln did? Abraham Lincoln: 3 pages of photos, simple language, includes slavery, Lincoln Memorial. 44. 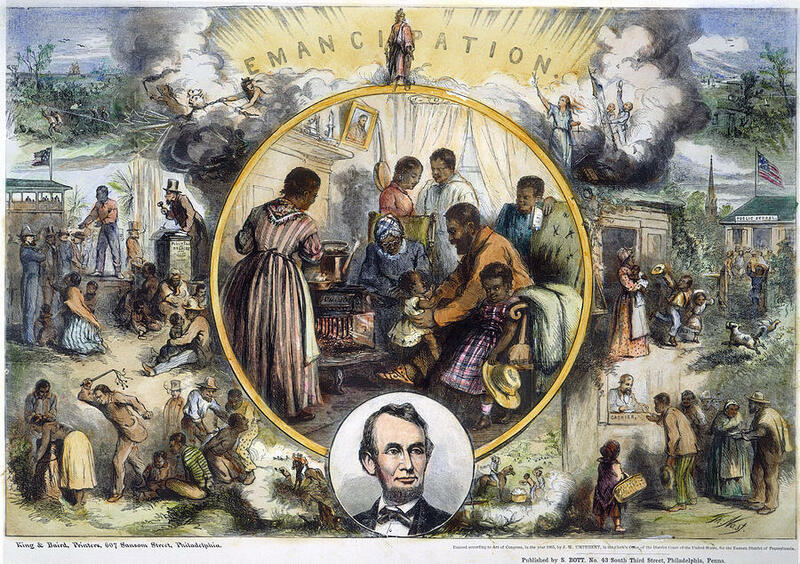 What did the Emancipation Proclamation do? 45. What did Susan B. Anthony do? In all activities, integrate having students practice asking for repetition, clarification, slower pace, explanation, etc. 1. Randomly dictate sentences (or words) for review. Correct on the board. 6. Quiz students on people of importance and on dates of importance (jeopardy, matching activity, or other way). Let students know that this is the end of our study of history. Next class will begin a study of U.S. government. 46. Who was the President during World War 1? 47. Name one war fought by the United States in the 1900s. 48. Who did the United States fight in World War 2? 49. Who was the President during the Great Depression and World War 2? 50. Before he was a President, Eisenhower was a general. What war was he in? 51. During the Cold War, what was the main concern of the United States? 52. What movement tried to end racial discrimination? 53. What did Martin Luther King, Jr. do? 54. What major event happened on September 11, 2001 in the United States? Does their country have a constitution? Do people vote in their country? Then explain aspects that are the same or different. Possible handout is this comparative chart (My Native Country and the US) for students to fill in. 2. Review (this is oversimplified; beef it up according to the levels and abilities of your students): first people here were ruled by England. England had a king and made decisions for them. They had to do what the king wanted. But the people wanted freedom to choose their own leaders. After they became independent, they had to create a new government to replace British rule. 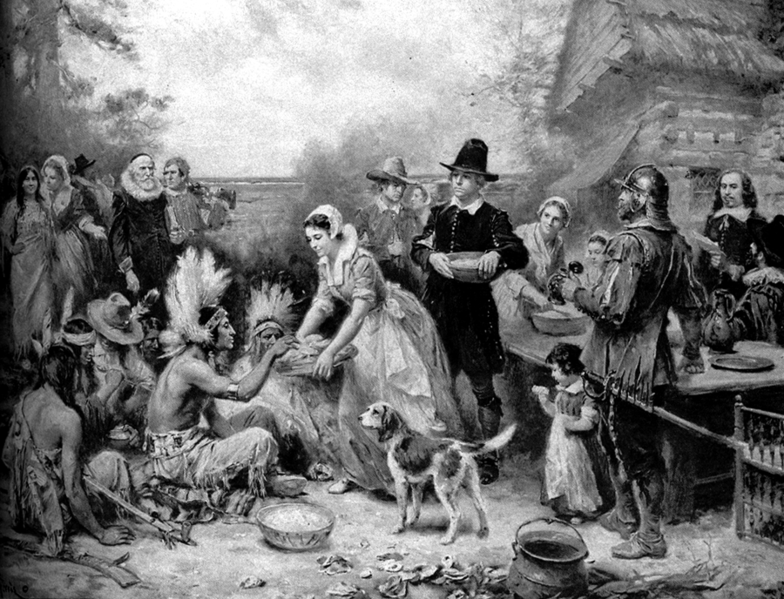 In the beginning the states were loosely connected. 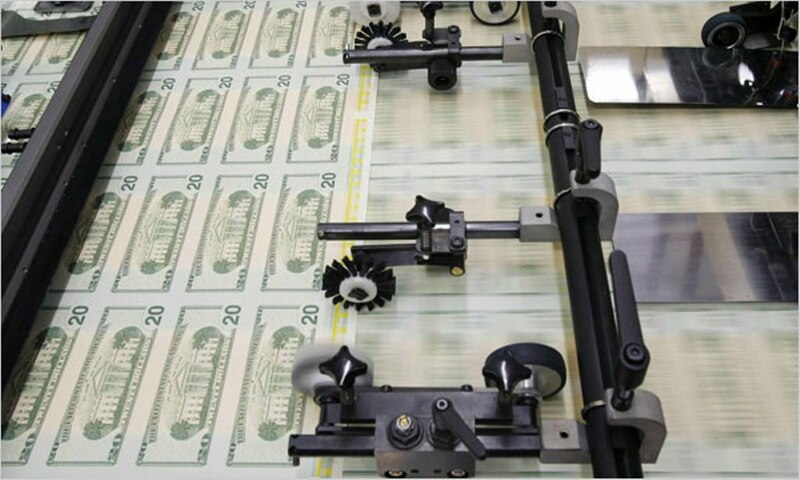 For example, each state had different money. It was confusing and a problem. So leaders from each state got together to create a new government system—the Constitution. 3. Watch video on the Constitution: start at 4:20, to end. 3. Go over civics questions 55-67 . Use links below. Corresponds to chapter 7 in Civics and Literacy. 55. What is the supreme law of the land? 56. The idea of self government is in the first three words of the Constitution. What are these words? 57. What stops one branch of government from becoming too powerful? Watch this video about the separation of powers through 2:53. 58. Under our Constitution, some powers belong to the states. What is one power of the states? 59. Under our Constitution, some powers belong to the federal government. What is one power of the federal government? 60. What is an amendment? 61. What do we call the first 10 amendments to the Constitution? 62. What is one right or freedom from the First Amendment? 63. What are two rights of everyone living in the United States? 64. What is freedom of religion? 65. There are 4 amendments to the Constitution about who can vote. Describe one of them. 66. How old do citizens have to be to vote? 67. How many amendments does the Constitution have? 1. Randomly quiz on civics questions from last week. Use flashcards, jeopardy, or other game. 4. Hand out matching vocabulary cards for part 11—this has to do with "good moral character" and has a lot of very difficult vocabulary. Explain words students are unfamiliar with. Ask the question that includes that vocabulary word, so they can hear the question, but do not have students answer. Note that we need to be careful not to overstep bounds and engage in "unauthorized practice of law": it is not our role as citizenship preparation teachers to help students complete the application; our role is to ensure that students understand what is being asked so they are able to answer the questions honestly. Review/explain the 3 branches of government and the 2 parts of Congress. Keep roles of each simple, unless you have advanced level students. Go over the questions, using links below as appropriate. 68. What are the two parts of the U.S. Congress? 69. We elect a senator for how many years? 70. How many U.S. Senators are there? 71. Who is one of your U.S. Senators? 72. Who does a U.S. Senator represent? 73. We elect a U.S. Representative for how many years? 74. The House of Representatives has how many voting members? 75. Name your U.S. Representative. 76. Why do some states have more representatives than other states? 77. What is the name of the Speaker of the House of Representatives now? 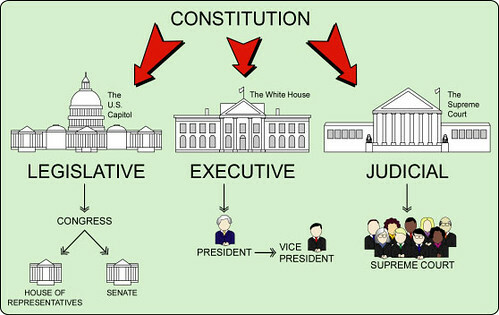 1. Review role of Constitution: it sets up and explains how the government operates (branches, role of each, etc.) Review branches of government. 4. Interview practice: matching cards of vocabulary for part 11 of the application (related to "good moral character".) Help students with unfamiliar words. 5. Watch video of an example interview: what does the interviewee do well? There are many sample videos on youtube as well as the ones in previous lessons. 78. Name one branch or part of the government. The three branches of government, with some detail. Another diagram of 3 branches of government. 79. Who is in charge of the executive branch? 80. We elect a president for how many years? 81. In what month do we vote for President? 82. What is the name of the vice president of the United States now? 83. If the president can no longer serve, who becomes president? 84. If both the president and the vice president can no longer serve, who becomes the president? 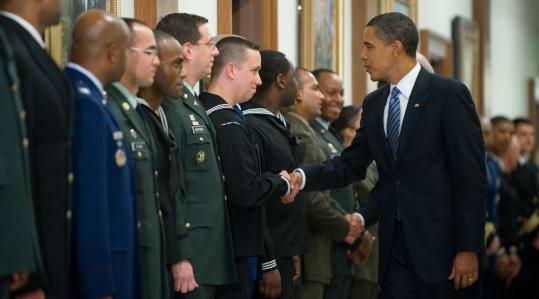 85. Who is the Commander in Chief of the military? 86. What does the president's cabinet do? 87. What are 2 cabinet-level positions? 1. Review branches of government and roles of legislative and executive branches. 88. Who makes federal laws? 89. Who signs bills to become laws? 91. What does the judicial branch do? 92. What is the highest court in the United States? 93. 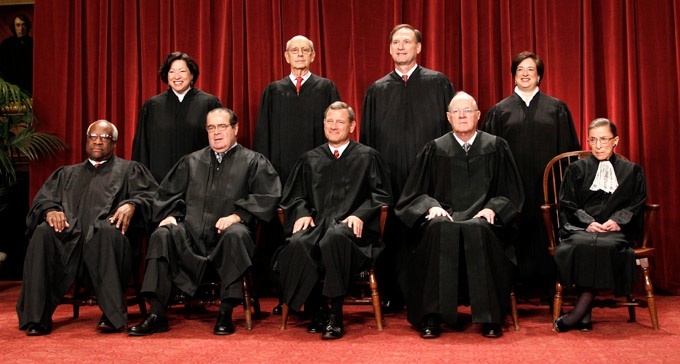 How many justices are on the Supreme Court? 94. Who is the Chief Justice of the United States? 95. What is one responsibility that is only for United States citizens? 96. What are two rights that are only for United States citizens? 97. What is one promise you make when you become a United States Citizen? 98. What is the "rule of law"? 99. 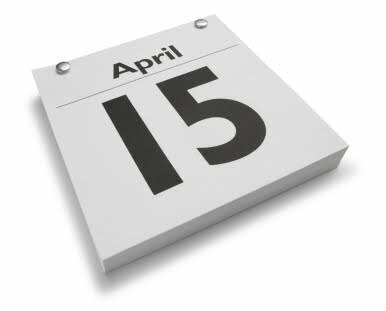 When is the last day you can send in federal tax forms? 100. 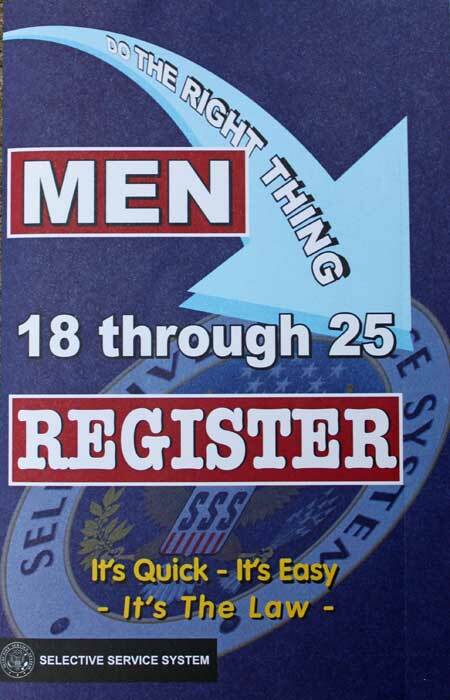 When must all males register for the Selective Service? 4. Invite guests: someone who recently became a citizen or went for their interview, to share the experience and/or a BIA-accredited legal representative or low-cost attorney to share information how they can assist with the application process.